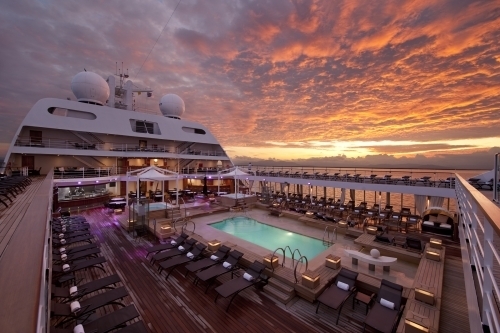 The ultra-luxury cruise operator Seabourn have just announced details regarding the lines summer season for 2014, of which features almost 100 departures to more than 150 European destinations on cruises ranging from seven to twenty-one days in length. Included within Seabourn's 2014 European season, are overnight calls in a number of cities including St. Petersburg, London, Bordeaux, Venice and Barcelona. 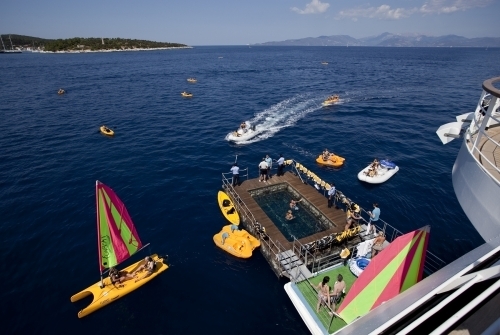 In addition, the majority of sailings in the Mediterranean will feature a "Marina Day", this is where guests can enjoy watersport activities from the ships very own onboard marina. Seabourn Sojourn will set sail on a series of ten-day voyages from Barcelona, Athens and Monte Carlo and will visit ports along the Italian and French Riviera and the Greek Isles. The ultra-luxury cruise line also added that the majority of voyages may be combined into longer cruises of up to 30 days, with a minimal repetition of ports of call. Seabourn Spirit will sail on alternate ten and 11-day voyages from Venice to the Adriatic and Dalmatian coastline, including visits to Dubrovnik, Kotor and many other popular-cruise destinations. Sailing on a series of seven-day alternating voyages between Athens, Istanbul and Venice; the Seabourn Odyssey will explore the Greek Isles and Turkish Coasts in addition to ailing on three-unique seven-day voyages to the Black Sea. Both the Seabourn Quest and Seabourn Legend will sail within Northern Europe during the summer months, where the Quest will sail on a series of week-long Baltic voyages between Copenhagen and Stockholm, which include a three-day stopover in St. Petersburg. Later in the season, she will then embark on a 24-day voyage from London to Montreal, calling at Ireland, the Faroe Islands and unique ports in Iceland, Greenland and Newfoundland. The Seabourn Legend will embark on two cruises along the Atlantic coastline of Western Europe as she repositions between the Mediterranean and her summer voyages in Scandinavia. Cruises will include several 9 to 12-day sailings in the region and a 21-day cruise to the North Cape which will sail along the edge of the polar ice pack in the Arctic Ocean. Finally, the Legend will sail on a 15-day roundtrip voyage from London to the British Isles, Ireland and Belgium, which will include an overnight stay in the British capital and scenic cruising on the Thames River.